crafty lil' thing: Last Day of School 2009! Today is K's last day of school! 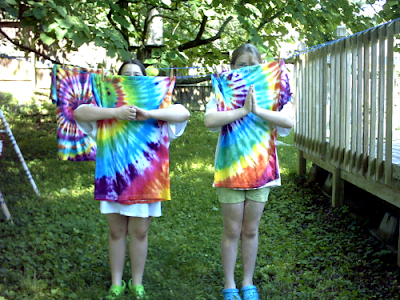 Her friend E spent the night Friday and they dyed T-shirts to wear the last day of school. They made Mr. Man and I one as well. Unfortunately, K spent the rest of the weekend coughing her head off, poor kiddo. Her temp is down, but she is still uber snotty and coughed most of the night. I would have let her sleep and kept her home, but she really wanted to go. You can't miss the last day! Great tie dye! Our last day is Wed. and Miss E is home sick today. Oh noes! Poor E, I hope she feels better soon. And I hope G doesn't get it. We've had an odd late flu season here, not just swine, but regular old flu. Wierd. Is it the same in your area? 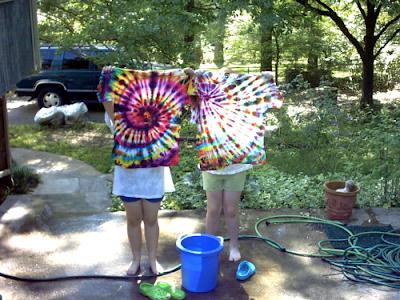 You should try tie dye, oh me oh my! It's cheap, messy and really fun. We found a kit at Walmart on sale for 7$ that had everything, including soda ash, and worked really well. 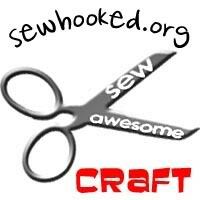 I don't recommend the t shirts they sell at craft stores, too much polyester. You want 100% cotton for best results. Ane even though I really don't like to shop at Walmart, they have really nice t-shirts in the mens dept.